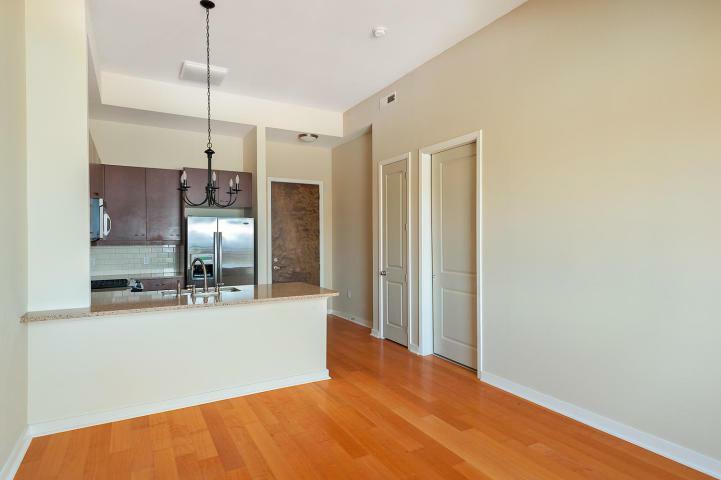 This incredible 1BR/1BA Penthouse Condo home is in a gated community in the desirable North Shore area of Chattanooga. 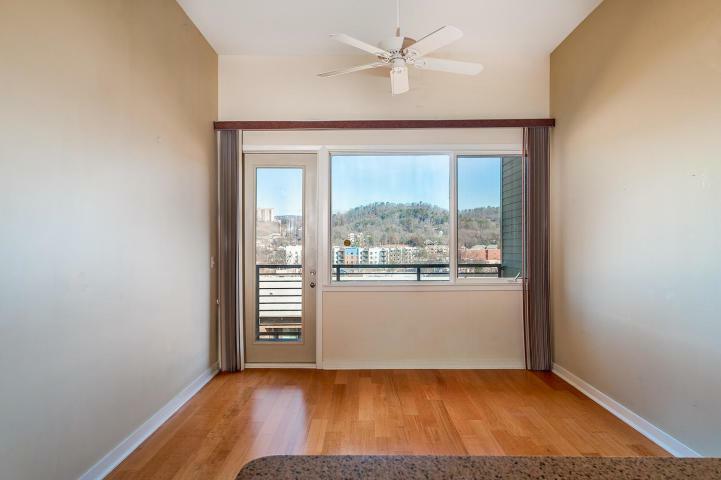 Start your mornings on your private balcony while enjoying the beautiful Signal Mountain and Stringer's Ridge views. A covered, gated garage houses an assigned parking space conveniently located near an elevator. 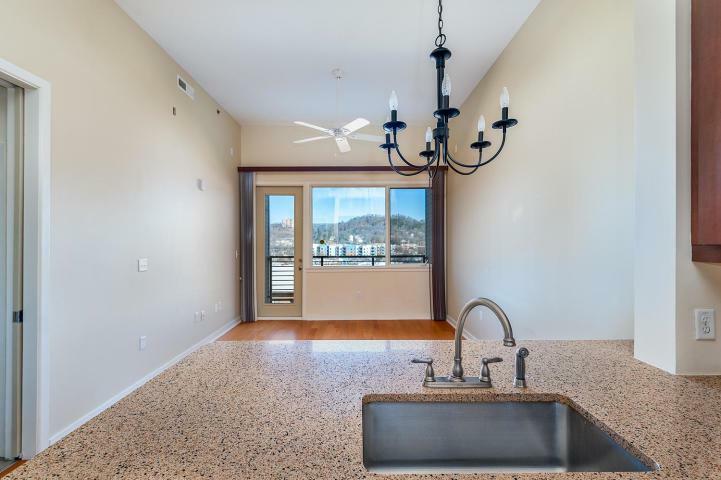 Just steps away from your door is the penthouse clubroom which has the city's best views of downtown, the Tennessee River, the bridges, parks, and Lookout Mountain. Entertain friends and family with a private reservation at no cost-the caterer's kitchen is fully equipped for serving your guests with ease.Take in the sunset as you work out in the state of the art fitness center. Shower off in the cabana and relax by the beach-entry pool. Or, prepare a poolside lunch using the cabana kitchen, community grills and seasonal herb garden. Enjoy the bar or seating areas while watching your favorite sporting event on one of the two large flat-screen TVs, or while listening to your favorite music broadcast via the recently upgraded bluetooth system. Wi-Fi is available in all amenity areas, including the pool. 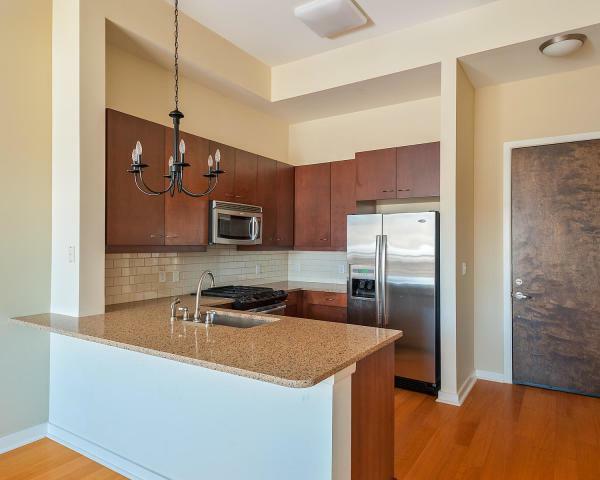 You're only a short jaunt to the popular Walking Bridge which leads to all that downtown living has to offer. The low $203/mo HOA fee includes water, sewer, gas, trash removal, on-site property management, concierge services w/package delivery, common area housekeeping, security, and more. There is no other like One North Shore! (a.k.a. O.N.S.) Buyer to verify square footage.